One of my pet hates is the common advice that “all babies cry” and to “wait until 12 weeks and your baby’s colic will go”. This is typical advice for a new parent. And if they were to do some internet searching for help with a colicky, crying baby they would also get information such as “there are no known causes of colic”, “colic is not understood” and there “is no cure for colic”. None of which I believe. 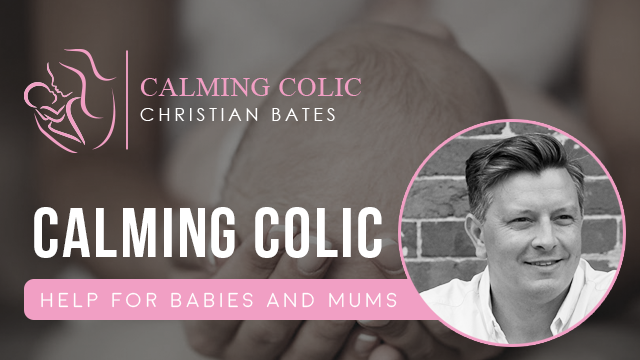 My 20 years experience as an osteopath and naturopath and the research I have done has led me to find that the causes for colic are actually known and understood yet not distributed at all to those that need the knowledge; new mums! Colic in babies is similar to adult issues we commonly treat using naturopathy and functional medicine in that it is multi-factoral. So in the same way we dig deep to find the cause of an adults illness we can do the same for a baby. The advantage with a baby though is that you can really only go back in their history a few weeks or months which leads to factors that have occurred during the pregnancy, the delivery and after during breast or bottle feeding. There is certainly plenty you can do to help a colicky, crying, upset, not sleeping baby. Also let me clarify here that I’m not speaking about a baby that is crying because they are tired, need a nappy change or are hungry. The babies I see are excessively crying, the mum doesn’t know what to do, feels helpless and just knows that their baby isn’t right. So when they hear the advice that “all babies cry” they can really take a dive into feeling emotionally on edge as well as physically fatigued from lack of sleep. Combining these two can be contributing factors leading to post-natal depression and abandoning breastfeeding. And as we know depression rates are increasing and breast feeding rates are poor. From a naturopathic perspective, there is no one “cure-all” that will magically make colic disappear overnight; which really is what a parent are looking for. I say there is no one magic cure for all colic because I don’t believe there is only one type of colic. 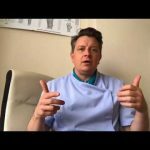 In my book Calming Colic – How to help the 10 causes of colic I look in depth at 10 of them and I base these on both my 20 years experience as an osteopath and naturopath treating colicky babies and also on scientific literature that I investigated. I had already seen patterns in colicky babies and had a mental check list of what might be a factor when babies visited me for treatment. Later I decided to look into the medical research and I was pleased to find plenty to back up what I was thinking. It really didn’t go along with the “colic is unknown and incurable” that most information sources tell you, particularly the NHS website. Most parents are of course looking for the magic cure that will get their baby out of pain and let everyone get more sleep. I do believe there are instances where this over night success is possible but you have to hit the nail on the head with the correct solution for the type of colic the baby has. Let me explain: If a baby has a real lactose intolerance then their “type” of colic may do really well by using a lactase enzyme in their milk, like Colief. This enzyme breaks the milk sugar down and stops the digestion discomfort. If another baby has colic that has nothing to do with a lactose issue then using this enzyme will not help at all. Let’s look at another example: If another baby has colic because it has had it’s friendly bowel bacteria upset by a course of antibiotics then the breastfeeding mother trying to help by avoiding known colic causing foods won’t get the desired results either. Only helping this baby replenish its friendly bacteria will help. In these cases I use Biogaia Protects available from The Natural Dispensary. I actually routinely recommend this probiotic to all the mothers and babies that consult me. 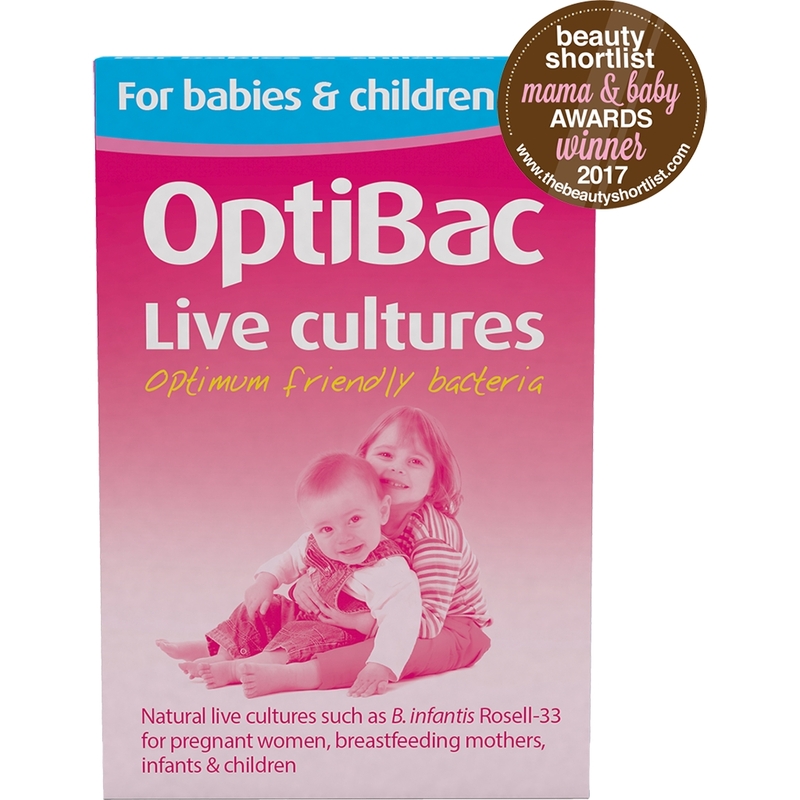 Firstly, most of them have experienced some factor around delivery which mean they will need a probiotic top up; such as antibiotics or C-section. Also if mums are formula feeding their baby will be missing out on the bacteria passed from mum to baby. I feel that having the baby take the drops directly, or the mother take them whilst breastfeeding is giving that baby future health protection. So much modern nutrition revolves around the adult microbiome and its role in health and disease, so why not get back to the very first time a person gets hit with antibiotics, which is often within the first few minutes of life. Most mothers consult me with their baby and say they have colic. Through questioning I try and determine the underlying causes of their baby’s colic and use the correct solutions to help. Technically some of these babies don’t have colic at all, it is just an easy broad term to say your baby isn’t very happy. Probably the most common “not colic” problem I see is some trauma from the delivery which causes irritations particularly to the baby’s head. For example forceps, ventouse or a long, traumatic labour. For this I perform cranial osteopathy with lovely results. 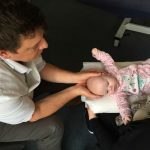 I would recommend every baby to consult a cranial osteopath whether they have colic or not, but particular if the birth has been traumatic in some way, particularly with the use of these instruments or after a C-section. I have based as much as possible all the “causes” and solutions to colic in my book on scientific research and with a open-minded holistic view. For example, soon after I had finished writing Calming Colic some researchers looked at manual therapies, like osteopathy and chiropractic, helping colic. They actually looked at a number of studies, put the results together and found that having a manual therapy for your baby was successful. It actually reduced the crying time on average by one hour and 12 minutes per day. However, the researchers stated “but these therapies did not seem to help babies make a complete recovery from colic”. This statement I found so interesting and as a cranial osteopath who fully endorses using osteopathy for babies I would agree, it doesn’t help every baby completely. In a baby who has colic due to birth strains it will make a massive improvement, perhaps even over night. However, as good as a treatment from a cranial osteopath will be it can’t fully help a baby who’s colic is predominantly caused by having antibiotics or a number of other causes as explained in Calming Colic. The ideal treatment in this scenario is both cranial osteopathy and the supplementation of probiotics, like Biogaia Protectis. Which I might add is backed by plenty of science to help babies with colic and be safe. I always advise parents to just do every piece of advice I have, it doesn’t really matter which one works the best as long as their precious baby gets better and they all start to sleep more. In Calming Colic you won’t find any advice on “shushing” babies to sleep, or other common tips like taking them for a walk or a car drive at two in the morning. These do help temporarily settle a baby but they aren’t actually fixing the cause behind the colic and who wants to regular take their baby for a car drive at 2 am? 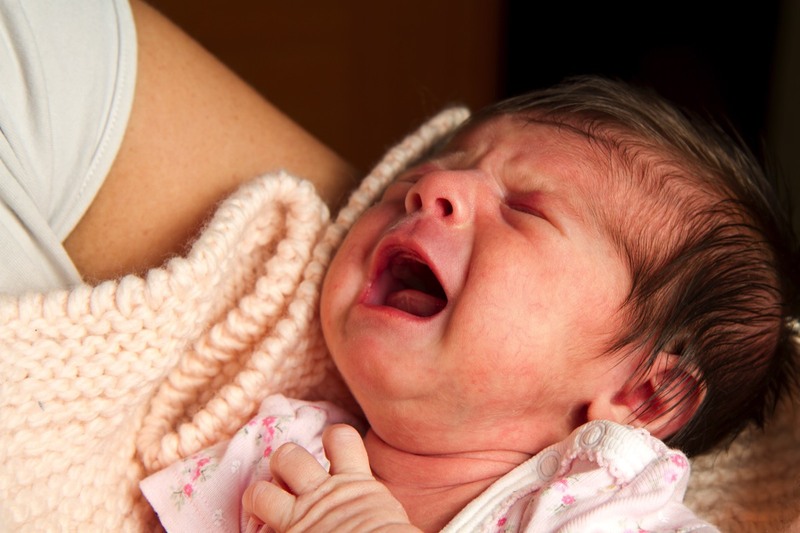 I hope this article gives you a simple insight in to colic as I have discovered it. It is not a complete mystery, although it might need a little unravelling to find the causes. I have found in excess of ten triggers for colic, a few I see in nearly every baby and others are a bit more unusual but came along often enough for me to notice and decide they were still a valid factor. I have written about all of these causes in more depth in “Calming Colic – How To Help The 10 Causes Of Colic” and they have scientific backing where possible. The advice in the book can improve a baby’s health right now and also into the future. Calming Colic and more information is available from www.calmingcolic.com and Calming Colic is also available on Amazon. “All babies cry”, “wait until 12 weeks and they’ll get better” my two pet hate pieces of advice!